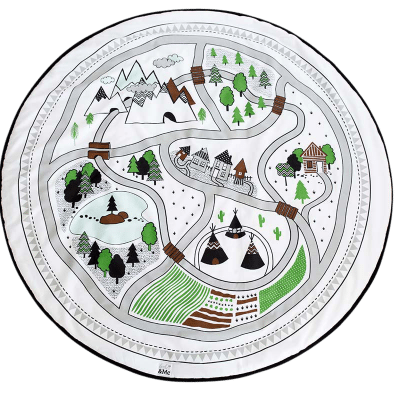 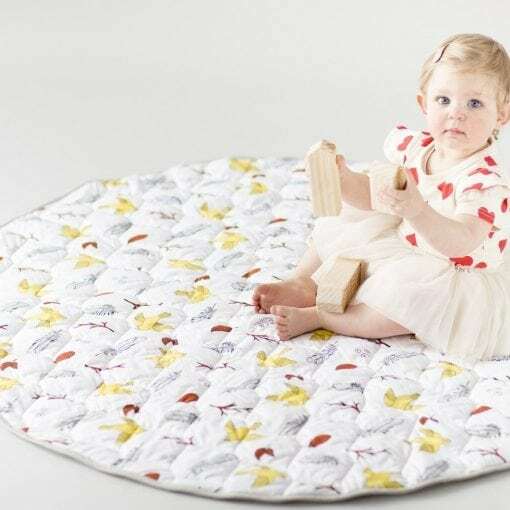 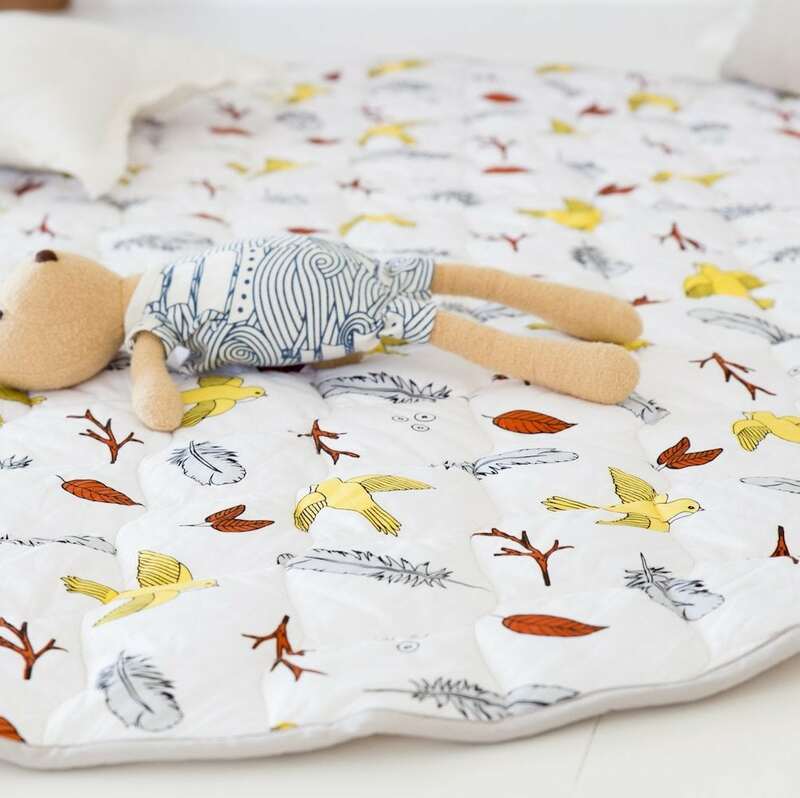 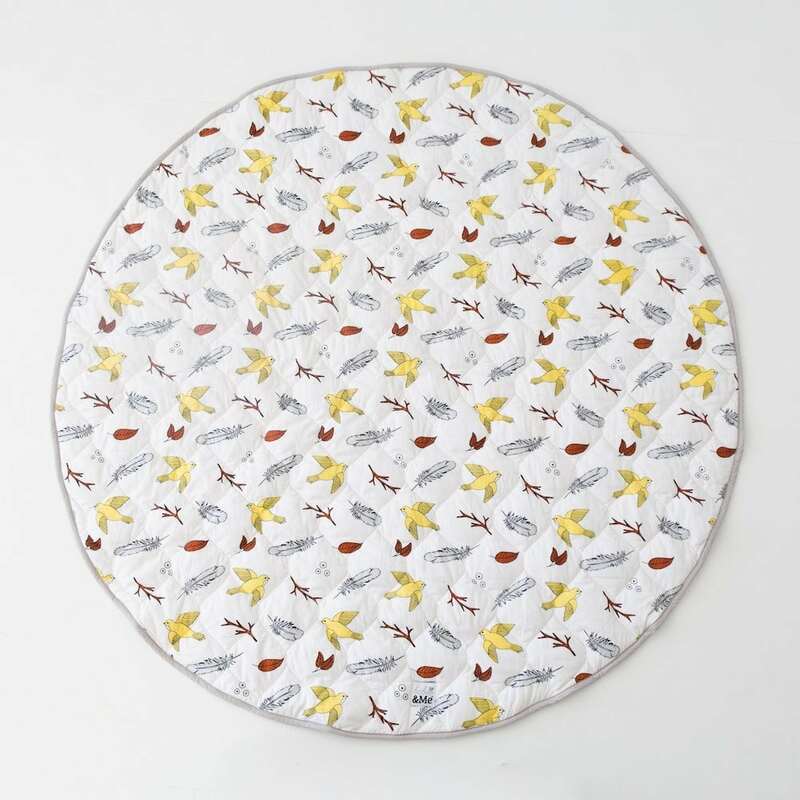 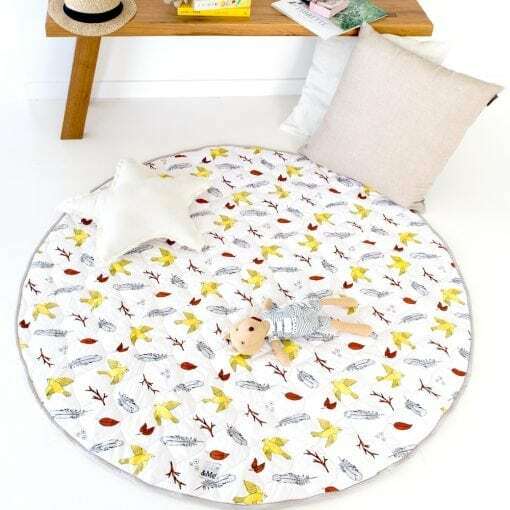 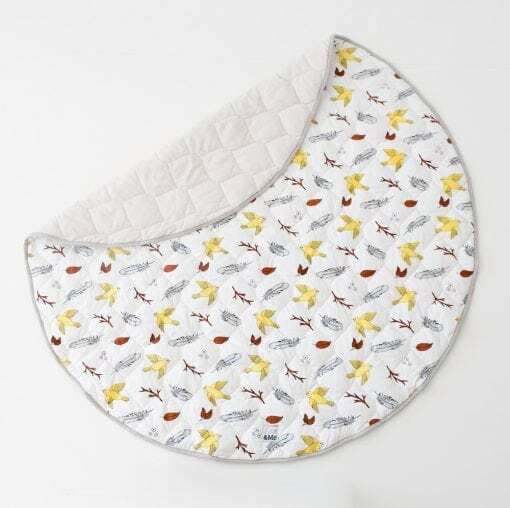 Home / SHOP / Wholesale / Birds of a Feather Extra Large Organic Play Mat – 120cm Round – Padded – Quilted – Unisex Colour – Last Ones EVER! 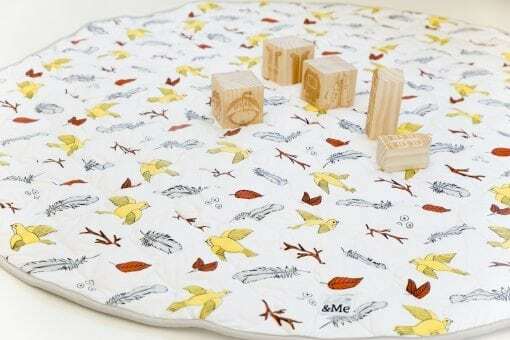 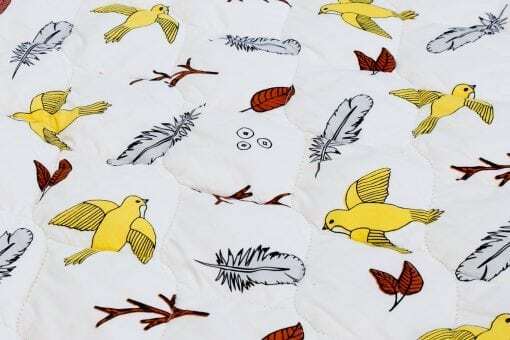 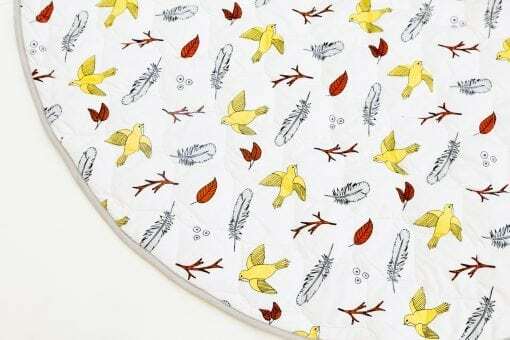 Amazing extra large 120cm Organic Birds of a Feather Play Mat. 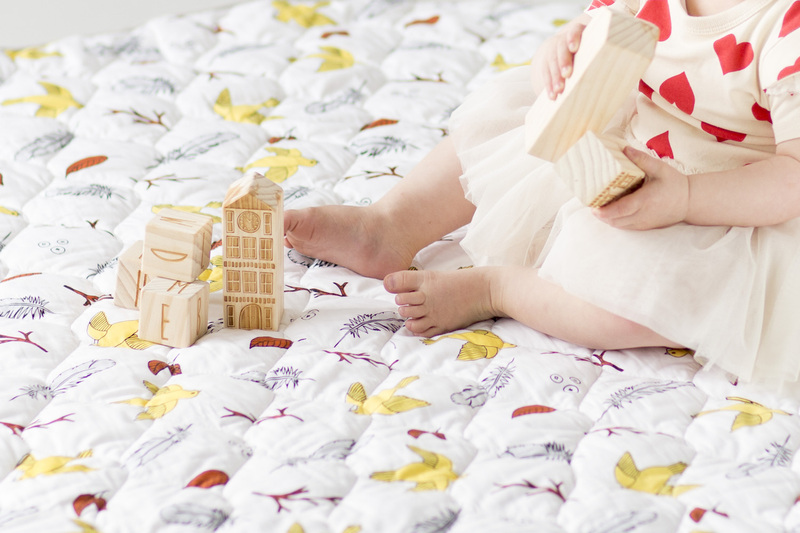 Quilted from top to bottom and with super thick polyester padding – its just beautiful. 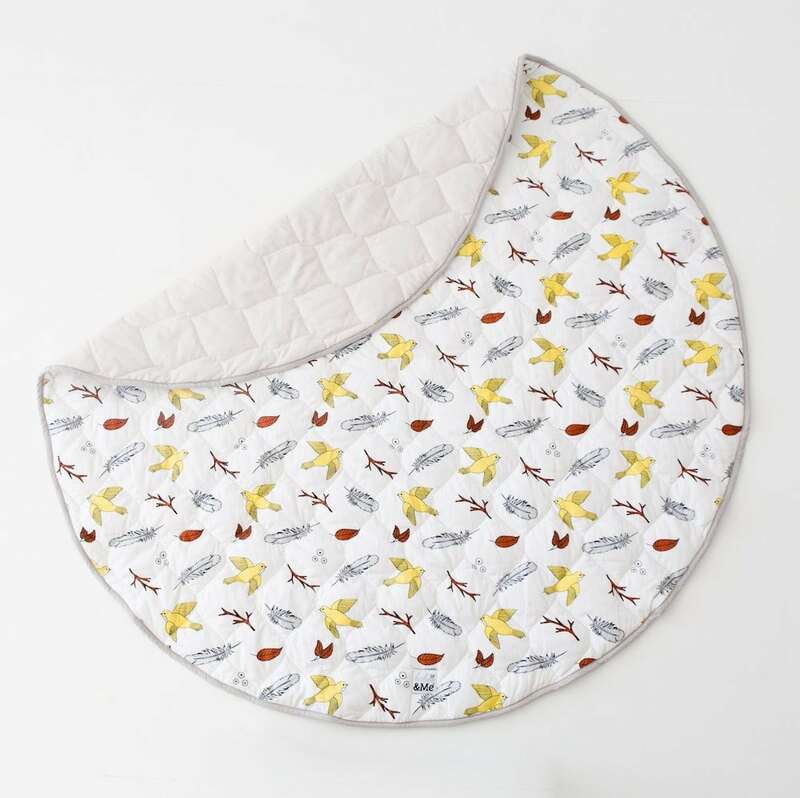 Unisex colour scheme suitable for either gender and features beautiful soft greys paired with on trend rust and yellow colours. 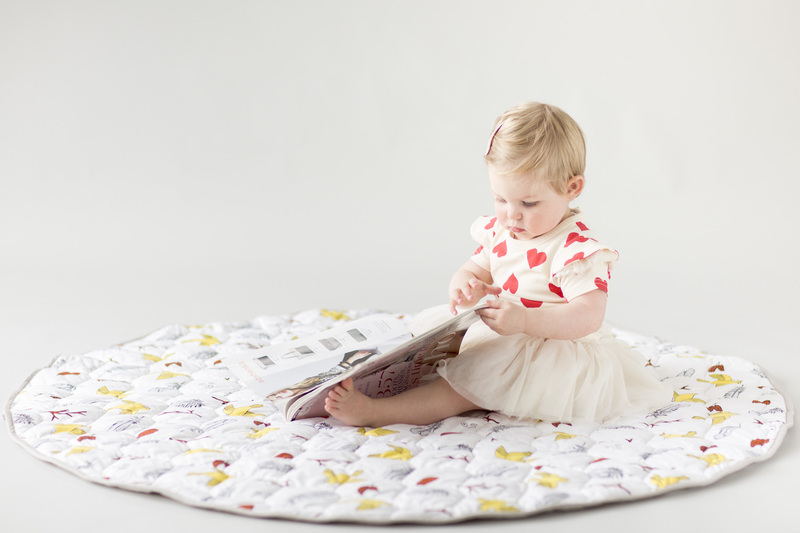 Mat can be machine washed easily and base fabric is a thick organic cotton canvas in grey. Quilting is from top to bottom and creates a reversible/double sided nursery feature. 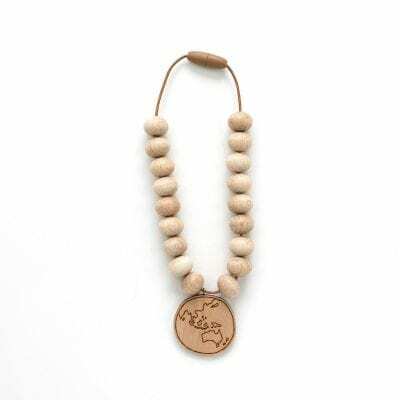 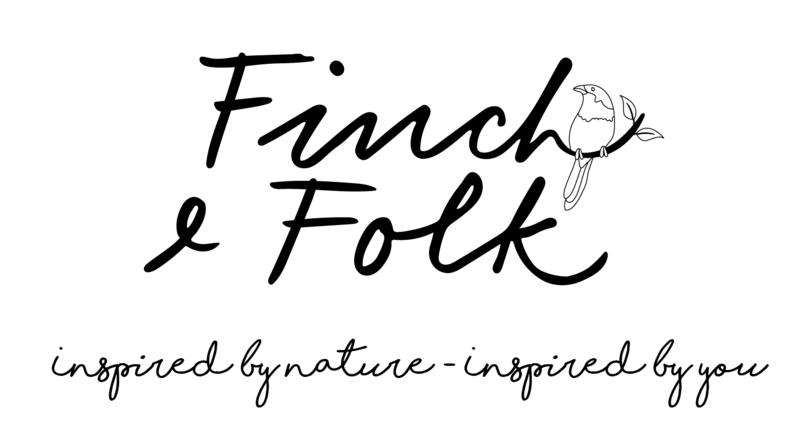 Purchase this product now and earn 94 Reward Points! The play mat is so soft and nicely padded and the design is beautiful. 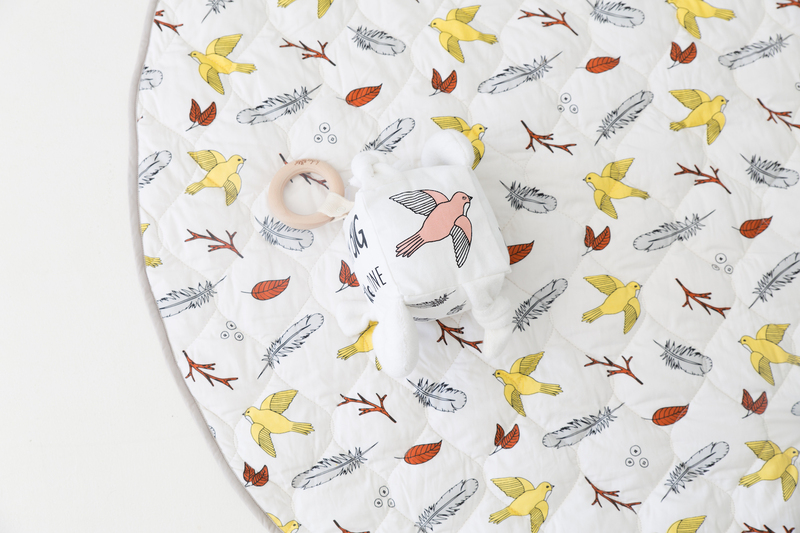 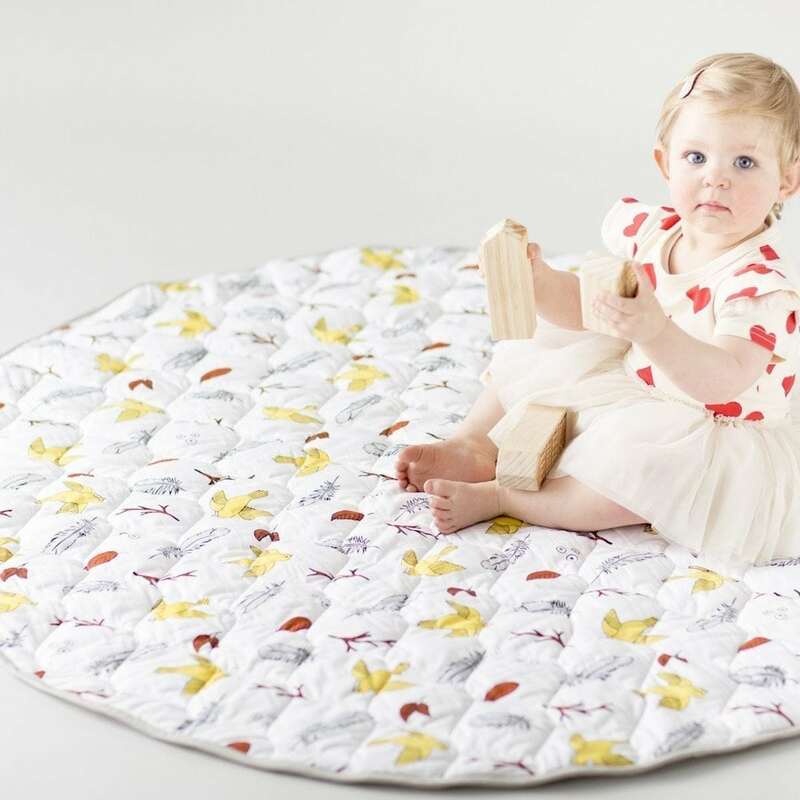 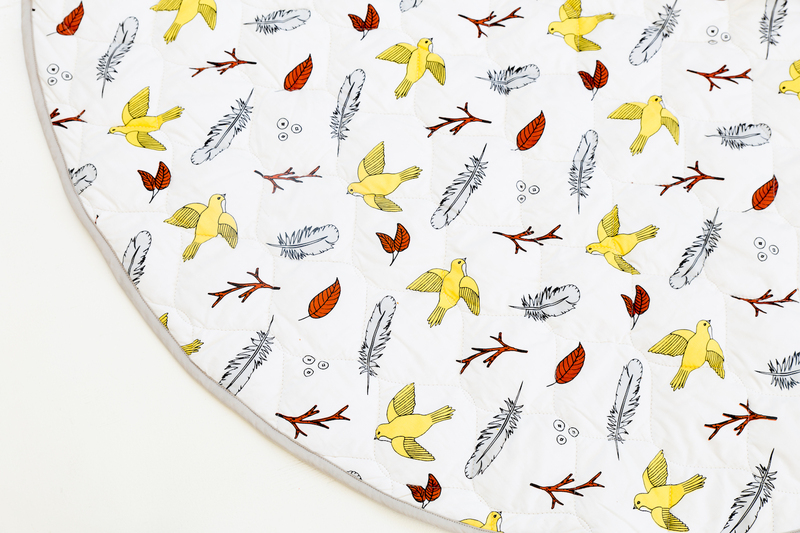 Birds of a Feather Extra Large Organic Play Mat - 120cm Round - Padded - Quilted - Unisex Colour - Ready to Post NOW!